Dark Circles & Eye Bags| How Can We Remove The Unwanted Christmas Present? Eye Bags are something that can haunt us at any stage of life! However as we age there may be a point where a good night’s rest doesn’t vanquish them like it used to! Lets see how we can remove those eye bags for good! What Causes Under Eye Bags and Circles ? 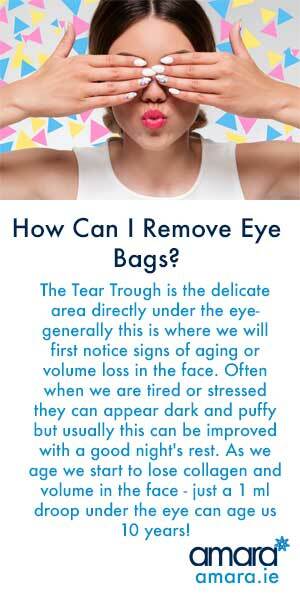 The Tear Trough is the delicate area directly under the eye- generally this is where we will first notice signs of aging or volume loss in the face. Often when we are tired or stressed they can appear dark and puffy but usually this can be improved with a good night’s rest. As we age we start to lose collagen and volume in the face – just a 1 ml droop under the eye can age us 10 years! For starters a good skin care routine is essential to maintain the health of your skin. If you’re not sure what products you should be using then book in to see a skin specialist who can analyse your skin and guide you. Remember products that are legally branded as cosmetic and can be bought in a pharmacy are not allowed to legally alter your skin. Spend your money wisely. So apart from Skin care what can we do? Hyaluronic Acid is found naturally in the skin – a hyaluronic based filler will give the most natural looking result. As under the eye is such a delicate area typically a 1/2ml under each eye is enough to fill them out instantly refreshing your face. Working with delicate areas like the Tear Trough requires a lot of skill and experience which is why many doctors and clinics do not treat the area. 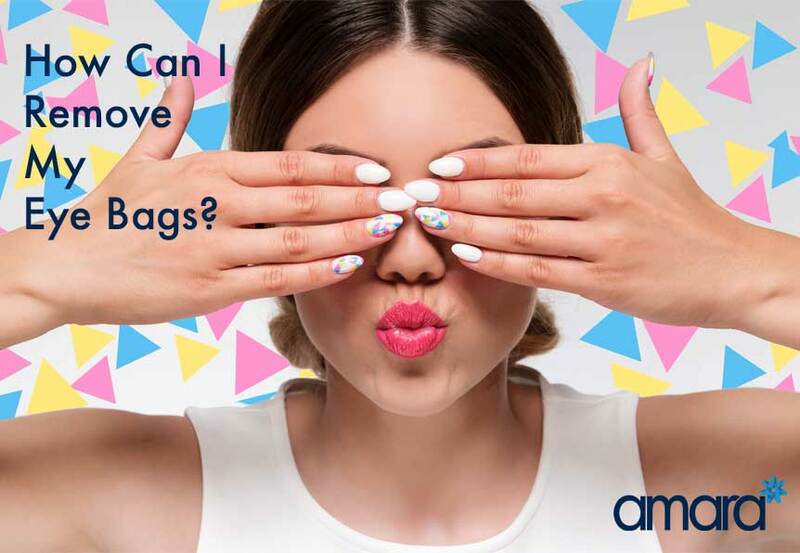 However it is available at Amara Dublin and London with a consultation. Are you looking to treat yourself this new year? Why not book in for a full Skin Health Consultation to start your year right! Our Skin Health Specialist will give you a full skin analysis as well as a full skin product plan. Places for January are booking up fast so why not email us now? Can you give me more information on the Hyaluronic acid filler please and the prices. the price for 1ml of Dermal Filler is €450 or €800 for 2ml. We use the Juvederm brand of Fillers which contain Lidocaine a local anesthetic. Great article! I have hereditary eye bags, but staying hydrated has made a difference for me. Home remedies works great to treat eye bags. Thanks for sharing.